Business Intelligence is about leveraging information to grow your business strategically. Taking your business to the next level requires a higher degree of internal coordination and insight. We help you manage all the technical & operational requirements that are needed to implement Board Room Strategic Initiatives easily, quickly and efficiently. We keep costs down and ensure knowledge transfer to your organization by integrating our resources with your own during the life of the project - and beyond, with low cost support services. We let you set the pace, and then help you manage it with exceptional project management services. ​Our Senior Consultants have over 20 years experience leading successful Management Initiatives, Strategic Planning, Quality Improvement and Business Intelligence projects. All of our staff is highly motivated and trained to stay true to our philosophy of "service excellence" during our implementation projects. Please see below for more on our Technical and Management Consulting certifications. All our projects are on time, on budget, and meet all client expectations. As part of getting to know each other, we'll gladly give you the opportunity to talk to our existing client base, allowing you to get a better idea of the professional relationships we develop with our clients and how we strive to exceed your expectations. ​Our Management Consulting Framework will help identify opportunities while defining specific project objectives that drive value. Our Project Management experience and Quality Assurance expertise ensure that the projects run smoothly and seamlessly, with minimal risk, if any. Our CMCs and Technical Experts will ensure that technology is used in the most natural way within the daily routine of all your employees. The end result: as your existing weaknesses are eliminated and your strengths are amplified, your Business will Grow. No two Business Intelligence Projects are the same. Despite having a "standard" transactional system (ERP/CRM/SCM) and being in a particular industry, your organization has unique resources, information requirements and a management style that need to be carefully considered when designing and implementing your BI platform. For this reason it is important to select your BI services from a proven consulting firm. The amount of work required to find, assess and select a BI services firm can be daunting. One way to save time and reduce risk is to short-list those service firms that have attained industry-recognized certifications that can attest to their experience, expertise and commitment to client success. 1) A Proven Track-record: we have led and implemented a multitude of successful BI and Management projects, giving you access to a vast amount of results-oriented and practical experience, skills, competencies, and adherence to a Code of Professional Conduct. 2) A Client-Centric Consulting Methodology: we adjust the project management style to fit your specific needs (style and budget), ensuring that the project is a success and implemented on schedule. 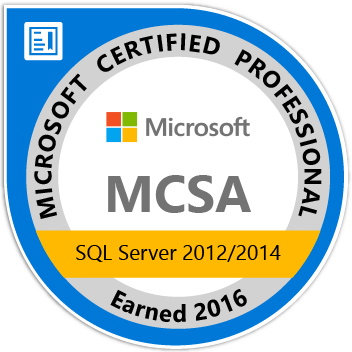 3) Expertise: we will have additional up-to-date certifications, including Certified Management Consultants (CMCs) and Microsoft Certified Solution Experts (MCSE), and demonstrate a deep understanding of your business from many angles, including: finance, sales & marketing, operations and logistics, and how all of these will be connected via a robust, easy-to-use BI platform. At BIAPRO® we define ourselves as a Management Consulting firm that also has in-depth technical expertise to ensure that all Management and Corporate Performance requirements that you have at your Organization can be properly enabled with robust and scalable software solutions. BIAPRO® is an owner-managed boutique consulting firm that is committed to bringing you the highest quality resources to implement your project successfully and easily. BIAPRO® specializes in the areas of: Business Intelligence and Analysis; Forecasting, Planning & Budgeting; Fast Close and ERP/CRM data and process optimization. BIAPRO® provides indepth expertise at competitive rates with experienced consultants as required by your project. Our resources will fully understand your business requirements and are committed to providing technical solutions that fit your scope and cost. We provide professional services in all areas required to complete your project, including: technical, design, implementation, development, training, project/change management and support. Our objective is to provide you with Professional Services of the highest quality to ensure that your project meets your Organization's expectations while being economically competitive. Please take a brief moment to contact us, and let us demonstrate our extensive experience and technical expertise. Carlos Lameiro is a specialist in Business Performance and Business Intelligence Development & Architecture as well as a Certified Management Consultant (CMC). Carlos has obtained the highest levels as a Microsoft Certified Solutions Expert in Business Intelligence (MCSE-BI)" and Data Management & Analytics (MCSE-DMA). Carlos has helped many of his clients in the design and implementation of Business Intelligence, Forecasting, Planning & Budgeting Solutions, including the implementation and redesign of transactional ERP and CRM systems. 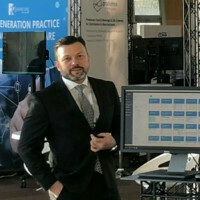 Having worked in hundreds of successful ERP, CRM and BI projects with clients in the private sector, including Hitachi Europe, BOSCH, McDonald's, Pfizer Pharmaceuticals, SITA.aero, Willis, IE Business School and others, Carlos brings a broad range of experience to his project engagements. His worldwide exposure has also included visits to client sites in nearly every country in Europe, North and Latin America. Carlos' approach to delivering on time and on budget? Quite simply, in his words: "When we are hired by a client, the smallest of details gets fulfilled, without exception." To this end, BIAPRO has an expert team in understanding how today's demanding economic climate requires optimal organizational performance and effective analytical, budgeting and planning processes. Carlos is a graduate of the IE Business School (Instituto de Empresa) in Madrid, with an International/Global Executive MBA, and of the University of Toronto, with both a Bachelor of Science and a Bachelor of Commerce. Additionally, he has obtained numerous technical certifications and is a specialist lecturer in business schools and seminars in the areas of management consulting, business intelligence, budgeting, forecasting and planning.